What is good practice when handling a complaint? What is the ethical basis of such practice? Fiona Palmer-Barnes pays equal attention to both these issues which are essential for psychotherapists and counsellors practising today. 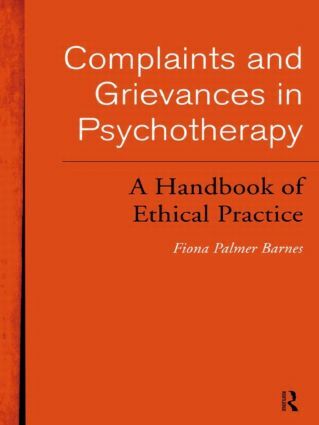 Drawing on her considerable experience of managing complaints for both the British Association for Counselling and the United Kingdom Council for Psychotherapy, she delineates the basics for putting in place a professional and ethical system of investigation and action. It includes useful addresses, current codes of ethics from major umbrella organizations, protocols and sample letters.